Is the Checkout 51 App Worthwhile? Checkout 51 is another great money making rebate app. It's similar to Ibotta and SavingStar. For my area, they do not offer many rebates, but I have noticed the rebates they have are higher paying than anywhere else, plus they offer rebates that I can't find anywhere else. 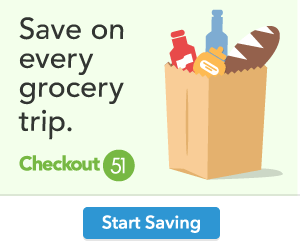 One very unique quality of Checkout 51 is even if you do not choose one of their rebates, you can still upload any grocery receipt as long as you spend at least $60. This enters you for a chance to win $500! The cash out limit is $20.00 and they will mail you a check. Checkout 51 is available on iPhone and Android for FREE and you can also use the Checkout 51 website. So, if you don't have a smartphone, that's okay. Go to the Checkout 51 website, register for an account, and select the rebates you want. After you purchase the items, take a photo of your receipt or scan it with a scanner. Save the file to your computer and upload it to Checkout 51. Then wait for your rebate. It's pretty simple! 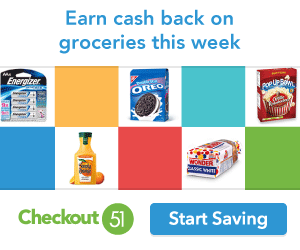 Is Checkout 51 a scam? Absolutely not! It is totally legit. Do they really pay you? Yes, they will mail you a check. Is the Checkout 51 app worthwhile? Yes. I signed up last week. I love that I can enter for a chance to win $500 even though I didn't use any of their rebate offers. That's amazing. I hope I win! Misty, I'm so glad you are enjoying Checkout51. Good luck on winning! I love Checkout 51 so far. They have a $5 rebate for the Dr. Scholl's custom fit inserts! I'm definitely going to use that. Abby, I love Checkout 51, too. They have a lot of great offers. I used the Dr. Scholl's rebate as well. Those inserts saved my feet. I absolutely love them. I love ibotta and never really got into checkout 51. I just might have to try it knowing you can just upload your receipt! Thanks for the info! You're very welcome. It would be great to win the $500!